SeniorsAloud: CAN WE TRUST MEDICAL LITERATURE? I was reading the papers yesterday when two articles caught my attention. The first one was actually a leaflet that fell out when I turned the pages of a local daily. It proclaimed a cure for cancer. Wow! The world’s biggest pharmaceutical and biotechnology corporations are ploughing billions of dollars into cancer research, and guess what? A virtually unknown company in Malaysia has beaten the big boys to the finish line! If that sounds too good to be true, it probably is. 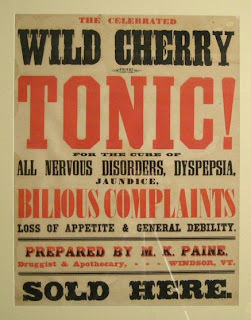 There are countless advertisements out there all claiming to be the best or the only remedy for one ailment or another. There are also tonics, health supplements and anti-ageing treatment targeted at the seniors market. The companies that manufacture these products back their claims with impressive research statistics and testimonials from satisfied customers. The big question is - how far can we trust these product claims? I found the answer in the second article. It was the front page headline in my subscriber copy of the International Herald Tribune (IHT) that caught my attention - "Behind some medical literature, drug industry's invisible hand". “Newly unveiled court documents show that ghostwriters paid by a pharmaceutical company played a major role in producing 26 scientific papers backing the use of hormone replacement therapy in women, suggesting that the level of hidden industry influence on medical literature is broader than previously known.” (Want to know which company is involved? Click here to find out). Apparently, the practice of ghost-writing for drug companies has been going on for some time. There are court cases involving some of the biggest names in the pharmaceutical industry. This is the modus operandi: the drug company hires a medical communications company to draft the article promoting the efficacy of a certain drug or therapy. Then it approaches top physicians to sign their names to the article. 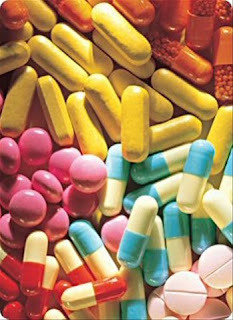 Such articles usually highlight the benefits of the drug and play down the side-effects. The unsuspecting end-user trusts what’s written and purchases the drug. The next time you go to the pharmacy or drug-store, do some research first before you make any purchases. Don’t trust everything you read about a wonder drug or a miracle cure. Don’t be taken in by the superlative claims made in medical advertisements. Be even more wary when you read about a break-through cure for cancer. The last time I checked, which was this morning, 1962 Nobel Prize Laureate in Medicine, Dr James Watson has this to say in his article "To Fight Cancer, Know The Enemy": "We still do not yet have in hand the 'miracle drugs' that would stop most metastatic cancer cells in their tracks". Think twice before you part with your money on expensive tonics and pharmaceuticals. And if you do find a genuine miracle cure for cancer, don’t keep it to yourself. Share.